It was such a great dream that it was difficult to believe it would ever come true. With ambition and determination, we pursued it for almost three years: we invested the acoustic and visual masterpiece created by Charles Garnier, an iconoclastic and visionary challenger. We partnered with the Paris Opera, a symbol of excellence and a true mastodon in the world of culture with a long-established international reputation. The Paris Opera fully accepted to entertain our dream, based on a shared vision of excellence and strong ties to France's musical and historical heritage. Together, we have conceived an exceptional partnership. 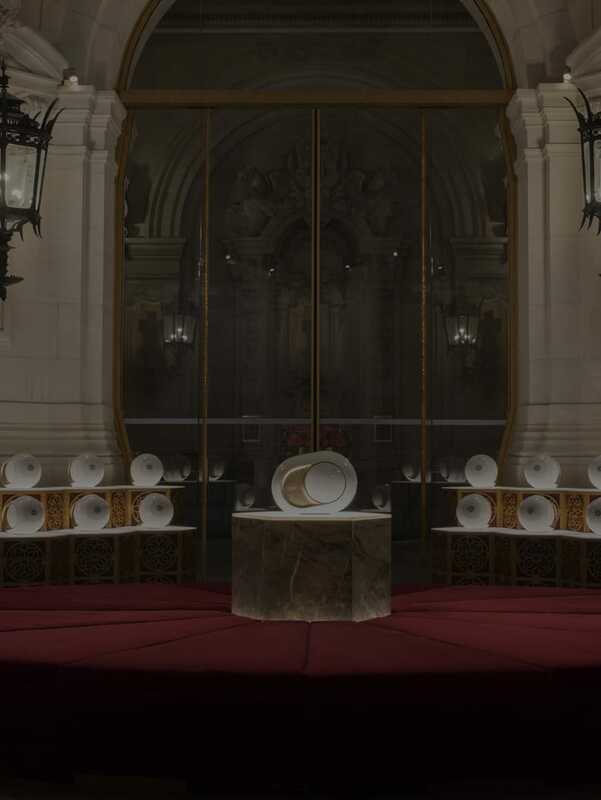 The first steps of this partnership took shape with the opening of a Devialet Area within the Palais Garnier, and the launch of of a unique Phantom combining a landmark French institution with the new wave of tech innovation in France. The Devialet sound discovery area opened at the Palais Garnier in Fall 2017, ideally located in the west area of the Grand Vestibule, which will be completely renovated for the occasion. This space has been designed as a minimal setting with sophisticated details, and overseen by the chief architect of France's historic monuments and the regional directorate of cultural affairs. Within this space, the Gold Phantom Opéra de Paris | Devialet shines as an exceptional technological masterpiece at 4500 W, 108 dB, and 14 Hz. Guests will witness not one Phantom or Phantom duo, but an entire orchestra of 16 Phantoms delivering the purest, most profound emotion that sound can possibly deliver within the walls of a venerable temple to sound itself. By day, visitors will access the area through the main entrance, and by night, before and during performances, through the Grand Vestibule. They will be able to discover and purchase Devialet products. For the Paris Opera, Devialet has conceived a special edition of Gold Phantom, an extreme piece of engineering protected by more than a hundred patents. Result of Devialet’s engineers’ obsessive quest, Gold Phantom emits an ultra-dense sound with physical impact, delivering a deeply emotional and overwhelming acoustic experience that meets the requirements of excellence of the Paris Opera. Drawing on the iconic gilded interiors of the Auditorium, Gold Phantom Opéra de Paris | Devialet will feature the Paris Opera logo and gold leaf gills finished by Ateliers Gohard, who also restore the gold of the Palais Garnier. It is exclusively available in the Devialet Area. Devialet's project is visionary and forward-looking, supported by remarkable technologies and considerable ambition. Devialet is driven by a desire to serve musical creation, in the spirit of the Enlightenment Philosophy and in keeping with the richness of our common heritage. Working alongside the Paris Opera, a symbol of excellence, and having a presence at the Palais Garnier, the visionary work of an innovator of his time, has been a dream for almost 10 years. We want to use this project to contribute to the influence of French creativity around the world. Jean-Philippe Thiellay, Deputy General Director of the Paris Opera, said: "The search for new forms of outreach and development is an integral part of our mission. Devialet is a magnificent partner for us, with a uniquely French take on innovation and excellence that is completely in line with the Opera's own vision. The Paris Opera will celebrate its 350th anniversary in 2019, and is constantly seeking new ways to reinvent itself as an institution." This partnership will also provide exclusive access to recordings from the Paris Opera, including live transmission of highlights from the 2017/18 season. For the first time, The Paris Opera and Devialet invite you to listen to recordings and stream performances live from home, wherever you are in the world. Thanks to unique technologies and the quality of sound broadcasting, Devialet will help amplify the Opera's voice, widening the community of music lovers who can simultaneously share the magic created by the artists of the Paris Opera. We are immensely proud to contribute to the influence of French creativity around the world through this exceptional partnership.